Prices are based on two adults sharing and include return flights from Stansted with 25kg baggage allowance. Subject to availability. Terms and conditions apply. 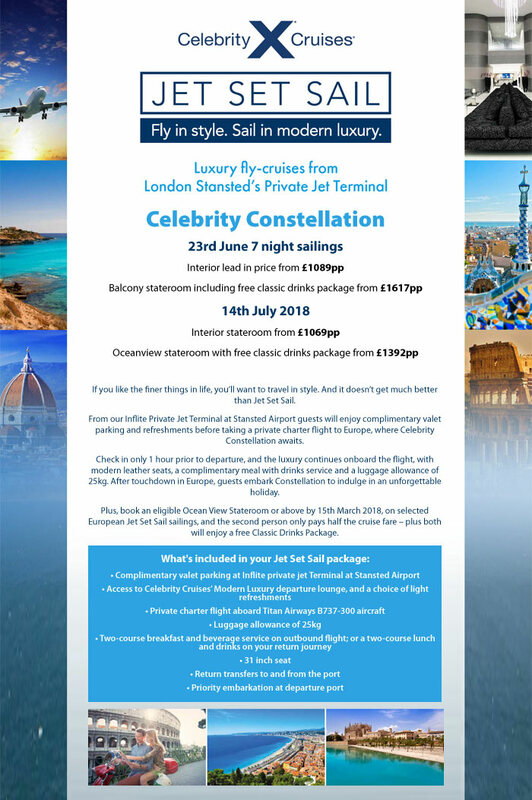 Premier Travel are acting as an agent of Celebrity Cruises ATOL 3088.